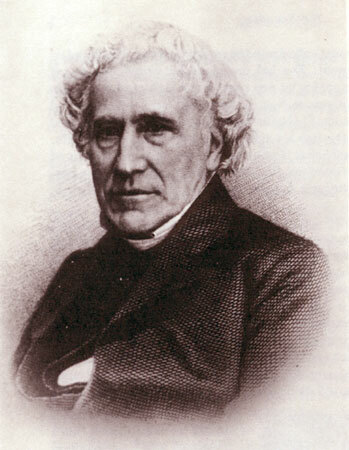 William Augustus Muhlenberg was born in Philadelphia in 1796, into a prominent German Lutheran family, and was drawn to the Episcopal Church by its use of English. He deliberately chose to remain unmarried to free himself for a variety of ministries. He was deeply involved in the Sunday School movement, and was concerned that the church should minister to all social groups. Aware of the limitations of the hymnody of his time, he wrote hymns and compiled hymnals, thus widening the range of music in Episcopal churches. The use of music, ﬂowers, and color, and the emphasis on the church year in worship became a potent inﬂuence. In 1846, he founded the Church of the Holy Communion in New York City. Again he was bold and innovative: free pews for everyone, a parish school, a parish unemployment fund, and trips to the country for poor city children. His conception of beauty in worship, vivid and symbolic, had at its heart the Holy Communion itself, celebrated every Sunday. Many of his principles are set forth in the Muhlenberg Memorial to General Convention in 1853. Anne Ayres was born in London, England, in 1816, and immigrated to New York in 1836. She began work as a tutor for the children of wealthy New Yorkers, but soon came under the inﬂuence of Muhlenberg. She took religious vows on November 1, 1845, and was the founder and First Sister of the Sisterhood of the Holy Communion, the ﬁrst Anglican religious order for women in North America. The House of the Bishops of the Episcopal Church formally recognized the Sisterhood in 1852. 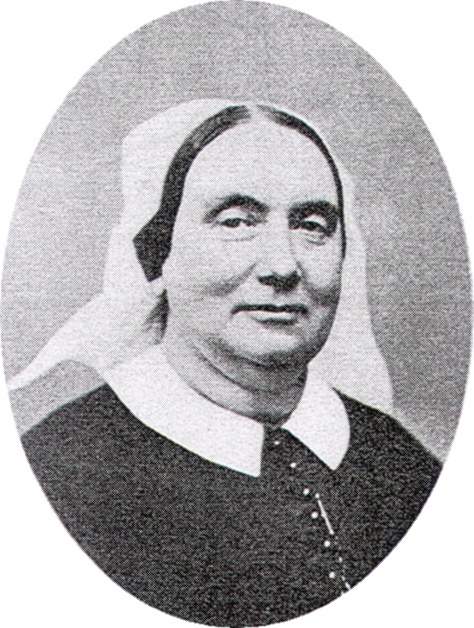 The companionship in ministry between Muhlenberg and Ayres led to the founding of St. Luke’s Hospital in the City of New York, where Ayres and her sisters looked after most of the patient care and nursing. They also cooperated in establishing St. Johnland on the north shore of Long Island, an attempt to transplant families into an intentional Christian community far from the urban squalor of late nineteenth century New York City. I God of justice and truth, let not thy Church close its eyes to the plight of the poor and neglected, the homeless and destitute, the old and the sick, the lonely and those who have none to care for them. Give us that vision and compassion with which thou didst so richly endow William Augustus Muhlenberg and Anne Ayers, that we may labor tirelessly to heal those who are broken in body or spirit, and to turn their sorrow into joy; through Jesus Christ, who livest and reignest with thee and the Holy Spirit, one God, for ever and ever. Amen. II God of justice and truth, do not let your Church close its eyes to the plight of the poor and neglected, the homeless and destitute, the old and the sick, the lonely and those who have none to care for them. Give us that vision and compassion with which you so richly endowed William Augustus Muhlenberg and Anne Ayers, that we may labor tirelessly to heal those who are broken in body or spirit, and to turn their sorrow into joy; through Jesus Christ, who lives and reigns with you and the Holy Spirit, one God, for ever and ever. Amen. It is interesting to note that the controversial things about him were left out, such as the Lutherans who became Episcopalians in the New York Ministerium of the Lutheran Church because of preference for use of the English language in both business and worship. Not to mention the profound influence of him on not just liturgy, but the fashioning of the religious from the Deaconess Community in Germany. We also owe much to him for the present day full communion between the ECUSA and the ELCA. This commemoration is a hybrid. Muhlenberg is already in the calendar. Anne Ayers is for Trial Use. The Hebrew Scripture reading and the Proper Preface are new. The collect is revised from LFF 2006 to include the name of Anne Ayers. Collect. What a lovely written collect this is. Bio. Both of them need ‘who they are’ and ‘why they are important’statements; and a ‘They died in 1877 and 1896’, respectively.’statement. 3rd paragraph: Is it the Sisterhood of the Holy Communion, or the Sisters of the Holy Communion? If Sisters then it should be changed in lines 5 and 8. Note: In this bio New York City is properly referenced; rather than just the shorthand: ‘New York.’ 🙂 Thank you. Oh my– that IS a lovely collect! Apparently it is the one from LFF (I don’t have my books at school). With very minor tweaks it would do for a number of the commemorations where we’ve been bewailing and gnashing teeth over very unsatisfactory collects. Daniel Wu comes readily to mind! And what happened to Tikhon on April 7th? I was going to ask the same question. Tikhon is already “on the calendar,” but I wanted to raise a question related to his commemoration and the proposed commemorations of Herman of Alaska and Innocent of Alaska. Are all three commemorations necessary or even helpful? Actually if you look at the end of the Daniel Wu discussion, a couple of us expressed concern about Tikhon. I think your question is germane as well. I wish we had a venue for submitting it! It appears that Tikhon will be forgotten … so let’s put our Tikhon comments here. Just hit reply and they will be listed below. Line 2, first paragraph: add “, at Toropets in Russia.” after “1865”. Line 13, third paragraph: I suggest “the Russian authorities” instead of “Soviets”–my generation understands that word as a synonym for the Communist administration, but it will only confuse younger people, who may well understand it to mean the plural of the quasi-independent states that made up the USSR. Line 16, third paragraph: add “of a heart attack, in Moscow,” after “died”. This commemoration is already included in the Calendar. The Psalm has been shortened from all verses to verses 1-8. The Holy and Blessed Tikhon needs a ‘who he is’ and ‘why he is important’ statement. Also Paragraph 3: before the penultimate sentence: Patriarch Tikhon chose to stay in the monastery during his last years. [then– On April 7, 1925, he died, worn out by his struggles.] He was buried within the monastery in an unmarked grave; the monastery maintains a shrine containing his relics. Muhlenberg has had a well deserved place on the calendar for some years. Adding Anne Ayres to the commemorations idf an excellent idea. There ideals live on, even though the Church of the Holy Communion is closed and the last sister of the order has died. I actually worked with that lst sister in Maine nearly sisty yearsago. The title and the Collects appear to have misspelled Anne’s last name. Other sources, including biography, spell it “Ayres”. The subtitle should read some such wording as “Christian Educator, 1877; Religious, 1896”. His ordination to the priesthood is not why he is listed here. Line 1, first paragraph: substitute “on September 16,” for the second “in”. Line 1, third paragraph: substitute “on January 3,” for the second “in”. Line 1, third paragraph: substitute “emigrated” for “immigrated”. Line 7, third paragraph: delete the first “the”. D) The remainder of the paragraph seems only loosely connected with the thought structure of the paragraph as a whole. It could be knit together better. B) “Again he was bold and innovative” – “Again”? Where was the first time? I missed it! C) “free pews for everyone” – It sounds as if he were giving furniture away to passers-by. (“Friday is free donut day!” Crazy Eddy or the “HUGE” car guy come to mind.) The present list might work okay if it just had a bit more of a “lead-in” clause explaining what the listed items illustrate – more than just “bold and innovative” which is more of an advertising sound-bite than a regular sentence. B) I realize there isn’t much available blank space left, but I don’t feel Anne A. receives much description. Some phrases are pregnant but stop short of “presenting” as presently worded: Examples are, “came under the influence of M.”, “took religious vows,” and “companionship in ministry.” SOME elaboration of the bare statements (some of them) would help balance the severity of descriptive detail. COLLECT AND READINGS: Exquisitely superb! The Psalm, especially, takes on beautiful added dimension when read with the ministry of St. Johnland in mind. Combining the two commemorations is most appropriate (I hope Deaconess Drant can be joined to the commemoration for Father Wu in similar manner, if that one can be worked through and corrected sufficiently.) Be sure to spell Anne A’s last name correctly this time! On Tikhon, he seems to be our only witness to the Soviet persecution of the Church, as Bonhoeffer is to the Nazi persecution. Whereas we remember nearly a dozen (and counting, last time I looked at the comments) martyrs from El Salvador. I see a proportionality problem there, especially as we have lots of martyrs slain by the Japanese. Do we really see the Germans and Russians as less beastly than Hispanics and Japanese? Maybe adding Pavel Alexandrovich Florensky (Orthodox priest, theologian, philosopher, engineer, inventor, and martyr) could begin to correct the balance. While she’s World War I instead of II, Edth Cavell (nursing pioneer and humanitarian) would help, too. On the “free pews for everyone,” I suspect that few of today’s Episcopalians are aware of our heritage of pew rents, even though I note that most of us scrupulously avoid sitting in any pew but our accustomed one. Explain the significance or drop the reference. What about John of Shanghai and San Francisco (1896–1966)? He fits what I assume is our secret rule of being active on US soil (Tikhon, Herman. & Innocent do as well). In addition, as Wikipedia notes, he was ” the only Russian hierarch in China who refused to submit to the authority of the Soviet-dominated Russian Orthodox Church, as such he was elevated to archbishop by the Holy Synod of ROCOR in 1946. When the Communists took power in China as well, the Russian colony was forced to flee, first to a refugee camp on the island of Tubabao in the Philippines and then mainly to the United States and Australia. Archbishop John travelled personally to Washington, D.C. to ensure that his people would be allowed to enter the country.” (ROCOR= Russian Orthodox Church Outside of Russia.) I’m actually surprised he was not in our calendar; he was a noted ascetic & is also known as John the Wonder-worker, since his intense and sincere prayer was said to have worked many miracles. There must also be a plaque for Lee at Christ Church Alexandria, where he grew up. He has an entire church named for him in Lexington (http://www.releechurch.org/about.htm). But no date in HWHM. Just wanted to add one comment on pew rent. I know most people have never even heard of pew rents. It was not just the Anglicans and later Episcopalians who charged pew rent. From my own family history I know pew rents were charged in the Presbyterian and Reformed Dutch denominations as well. The amount of rent varied depending on: how near one was to the pulpit and if you needed a full pew or only a half one. (If you had to pay more to sit up front, I wonder what that says about Episcopalians who tend to avoid the first few rows of pews. 🙂 )The pew which was rented was mentioned occasionally in the will and it was included in the estate inventory. The denominations who did rent pews sometimes kept a “free” pew in an out of the way location in the church for those who could not afford the rent. I noticed that sometimes a family’s financial fortunes can be traced to where the pew was that they rented. I echo John LaVoe’s point about the vagueness of the biography. ‘The use of music, ﬂowers, and color, and the emphasis on the church year in worship became a potent inﬂuence.’—this suggests a practice that was an influence on him, rather than something in which he influenced others. If the former is the case, his subsequent development of the influence should be explained; if he didn’t develop it in some way, why mention it at all? If he was the influencer, the sentence should be rewritten to make that clear. ‘His conception of beauty in worship, vivid and symbolic’ needs explanation. I found the collect wordy and cliché—‘plight’, ‘richly endowed’, ‘labor tirelessly’ etc.